This story traces the life of a self-confessed atheist as he passes through an eventful, sometimes interesting, and often troubled childhood. Concluding a five-year printing apprenticeship, he is called into national service and a posting to Vietnam. By now, God is definitely not in life's equation. Dominated by a restless spirit and a desire for adventure, the author sets out on a season of world travels. Eleven weeks' camping throughout Europe ends in London. Here, while working at restoring an old taxi shelter near the Thames River, he is severely bashed. He believes this assault was, literally, to death. But by God's grace, he experienced being hurled up out of what appeared to be a funnel, seemingly from the very centre of the earth.Subsequently, eternity became something to take more seriously. After all, what did lie beyond life's murky horizon? The decision to try God finds him in Darwin, Northern Territory. In this alcohol-drinking capital of the world, a surprise encounter with the true divine begins a journey of self-discovery.Christian missionary service in Africa grows his unwavering faith and trust in the Creator God, whose amazing love and works appear constantly in this tale. The kid who is forever told he would never amount to anything, even by family members, at last learns that when God is allowed to be in control of one's life, anything is possible and anyone can become a real winner not only while on this earth but forever on planet heaven. 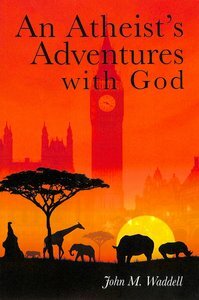 About "An Atheist's Adventures With God"